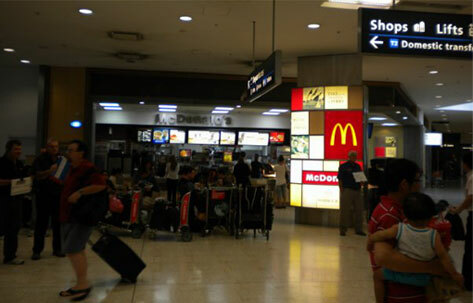 Customers meeting at the international terminal please make your way down to Mc Donald’s and wait for our driver to collect you. Mobile phones play a big part in a pick up, so please turn your mobile on as our driver will ring the number if he cannot locate you. 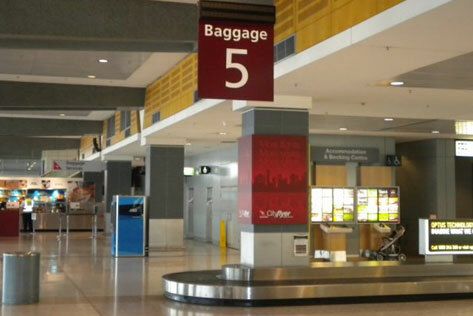 We understand it takes time after landing to get through customs and collect baggage, so our drivers normally wait 40 minutes before they enter the pickup area. One of the main reason for this is he is on a strict parking time restriction which the airport polices firmly. Our driver will be there to meet customers so please stay in the selected area until he comes to collect you. He is easily recognisable; he will be wearing a blue collared shirt and will have a Manly Express sign with the customer’s name on it. If your flight is delayed don’t stress because if you are the only pick up for the driver, he will wait to collect you if possible. If your delay is more than half an hour and our driver already has other passengers inside the bus ready to leave this cannot apply and in these cases, you would need to wait for our next bus and if that doesn’t suit we will try our best to get another carrier to help out and get you home as quick as possible. 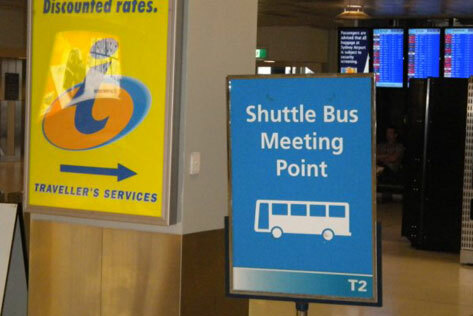 Important note: To help with rescheduling of pick up times due to late flights, please ring the office on 0415-642-782 if you know your flight is going to be more than 30 minutes late.